Spiritual Discipline: "Climbing The Ladder"
Jacob left Beer-sheba and went toward Haran. He came to a certain place and stayed there for the night, because the sun had set. Taking one of the stones of the place, he put it under his head and lay down in that place. And he dreamed that there was a ladder set up on the earth, the top of it reaching to heaven; and the angels of God were ascending and descending on it. And the Lord stood beside him and said, "I am the Lord, the God of Abraham your father and the God of Isaac; the land on which you lie I will give to you and your offspring; and your offspring shall be like the dust of the earth, and you shall spread abroad to the west and to the east and to the north and to the south; and all the families of the earth shall be blessed in you and in your offspring. Know that I am with you and will keep you wherever you go, and will bring you back to this land; for I will not leave you until I have done what I have promised you." Then Jacob woke from his sleep and said, "Surely the Lord is in this place - and I did not know it! And he was afraid, and said, "How awesome is this place! This is none other than the house of God, and this is the gate of heaven." What did Jacob dream about? Make a ladder for your family on poster board. Detail out the different things you will be doing as a family to climb the ladder (i.e. fasting, attending services, charity, praying together, spiritual reading). Meet weekly as a family to discuss your progress. You can even make individual ladders. The Theotokos is called our "Ladder to Heaven." It is through her that Christ came down from Heaven and because of this, we are able to ascend to heaven. Use a Concordance to find different quotes that describe the Theotokos in the bible. Write each of these different quotes on a piece of paper. Draw pictures for each phrase and make it into a book. Greek Orthodox Archdiocese Website - (www.goarch.org) There is a wealth of information about Orthodoxy and the different Departments of the Archdiocese. Of particular interest for your family's spiritual growth, is the Online Chapel. This section has prayers, daily bible readings, fasting information and texts from special services. The Planner (The Orthodox Daily Calendar and Resource Guide) - Keep a daily focus on Christ with scriptural readings, fast days, prayers, saints of the day and inspiration from the Fathers. The Planner follows the Ecclesiastical (church) year beginning in September and ending in August. Books - The following books can give you more information on the topic of the Ladder. 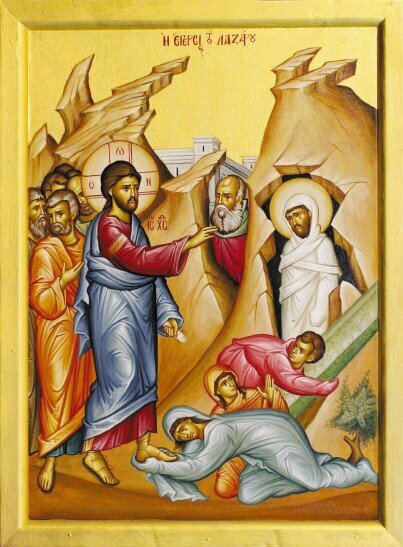 The Ladder of Divine Ascent by St. John Climacus - A classic in Orthodox spirituality. Ascending Heights by Fr. John Mack - A layman's guide to the Ladder of Divine Ascent. This book breaks down St. John Climacus' original and makes it more accessible.